Does mythomaniac belong in this group? Does undeadproph belong in this group? Does amberred12 belong in this group? Does youngster91 belong in this group? Does efred1122 belong in this group? Does harleyvixen belong in this group? LA Chick Hey,my is Shannon. 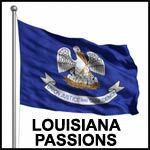 I from Louisiana and I live in Louisiana and I'm looking for someone who's from there too. I've been living in La my whole life and my family and friends makes LA home for me. Does shannonalana belong in this group?